This project involves developing, deploying and testing the commercial feasibility of a new energy retail model. 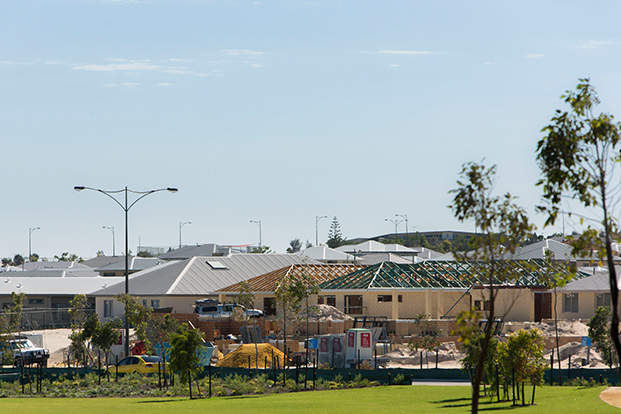 It will combine community scale battery storage, high penetration rooftop solar PV and energy management within a new residential development at Alkimos Beach, Western Australia. There are currently no existing tariffs to allow community energy storage to discharge into electricity networks. There is also a need to better understand the electricity supply reliability provided by a combination of renewable energy generation and integration (enabling) products compared with traditional poles and wires. develop and test at least three new electricity retail products. The new energy retail model will demonstrate how critical integration (enabling) technologies can be commercially supported by innovative products and services to unlock additional value from rooftop solar PV for consumers, land developers, electricity retailers and network operators. The trial also aims to address potential caps on PV hosting capacity on local electricity network by network operators in Western Australia. The project will demonstrate how to integrate, operate and manage integration (enabling) technologies with high levels of solar PV in an Australian metropolitan suburb. A centralised battery will provide customers with the benefits and incentives of stand-alone storage without requiring on-site installation and maintenance. customer responses to renewable energy and storage in comparison to non-participating households. Related: What is solar energy? Solar energy is energy created by the heat and light of the sun. Solar power is produced when this energy is converted into electricity or used to heat air, water, or other substances. More than two million Australian households have solar PV panels and/or solar hot water systems on their rooftop. Large-scale solar electricity is rapidly expanding in Australia. deX is a prototype online marketplace that will provide a way for households and businesses with rooftop solar and battery storage systems to be paid for allowing electricity network businesses to access their rooftop solar and stored electricity to strengthen the grid. Innovative energy products and services are rapidly emerging that are giving consumers greater choice and control over their relationship with the energy market, including how their electricity is delivered and consumed.